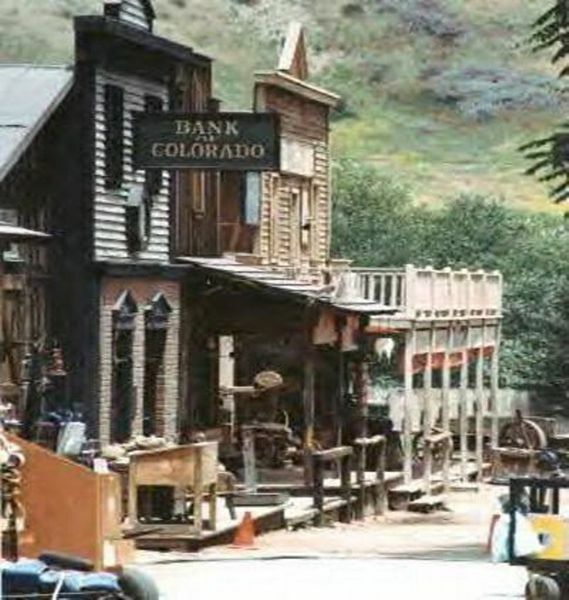 The HWD original “Hike From Colorado to Korea” starts at Paramount Ranch on the former set of Dr. Quinn, Medicine Woman (Colorado), crosses over to Malibu Creek State Park and ends at the former set of M*A*S*H 4077 (Korea). Highlights along the way include a 1950’s race track, the old Reagan Ranch, Malibou Lake and Century Lake. We’ll return via other trails making a loop. Our first stop in Colorado Springs will be the bank. Be certain to count everything, as Preston A. Lodge, III, has been known to cheat some people. After our whirlwind tour of Colorado Springs we’ll head out to the MASH site. Total round trip travel between Colorado and Korea is a loopy 8 miles with moderate elevation gain. This is not a beginner hike. From the Ventura Freeway (US 101) in Agoura take the Kanan Road offramp and turn south. Follow Kanan, turn left on Cornell Way, bear right onto Cornell Road for about 3 blocks. Turn right at the main gate to Paramount Ranch. WHEN YOU ENTER PARAMOUNT RANCH GO TO THE END OF THE ENTRANCE ROAD (YOU’LL SEE IT AS YOU TURN IN) AND TURN LEFT. PARK NEAR THE END.